Web design is a plan for placing components in a way as best to reach a particular purpose. There is no web design without discipline. There is work delivery without intelligence operation. People avoid design that dismiss people. 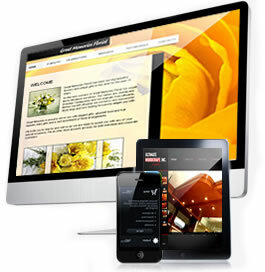 Website design is normally the first step of a project. At this stage, the project is not a website yet, but rather a graphics presentation . The focal point at this stage is to produce a design with visual appeal. A research enquiry at Carleton University concluded that web designers have about 6 seconds to make a initial impression. That's time length for your visitor to make a decision weather they like your web design or not. So now you know how important website design is to reach its ultimete potential. So if your site doesn't look good, the chances are that it's not going to reach its sales potential. Once appealing design is reached, most website designers can consider their job done. It must clearly show what your company has to offer. If your company offers a large number of products or services, the most important should be prominently displayed. The website's navigation needs to be straightforward and intuitive, so that your visitors can find their way around and don't get lost. Contact details need to be clearly visible. If your website involves e-commerce, your EPOS should involve a familiar routine, so that visitors know clearly what they're buying and how much they're spending. The website should not be cluttered with useless or marginal information. Text should be user-friendly, inviting your visitors to read more. It might sound simple, but how many sites do you see that encompass the above aspects while looking good at the same time? However, some websites may not be interested in sales and will not want to meet the full list of conditions - for instance, a website designed purely as "art for art's sake."